Moe Frankel turned professional with his hometown Bronx St. Martins in 1932-33. Only twenty years old, Frankel immediately established himself as the team’s leading scorer and best defender. Frankel was never a flashy player, but he built a solid 15-year pro career on his ability to score in clutch situations and play tough defense.The Bronx franchise was moved to the ABL the next season. The team fared poorly, but Frankel finished third in the league in scoring. In his next ABL season, he played for the New Britain club until the team disbanded in January and he was signed by the Jersey Reds. Frankel played in the Jersey backcourt alongside veteran star Willie Scrill for the next three seasons. Jersey reached the ABL finals in 1937, but lost an overtime game to the Philadelphia Sphas in the seventh and deciding game. The Reds bounced back to take claim 1937-38 ABL title the next season. 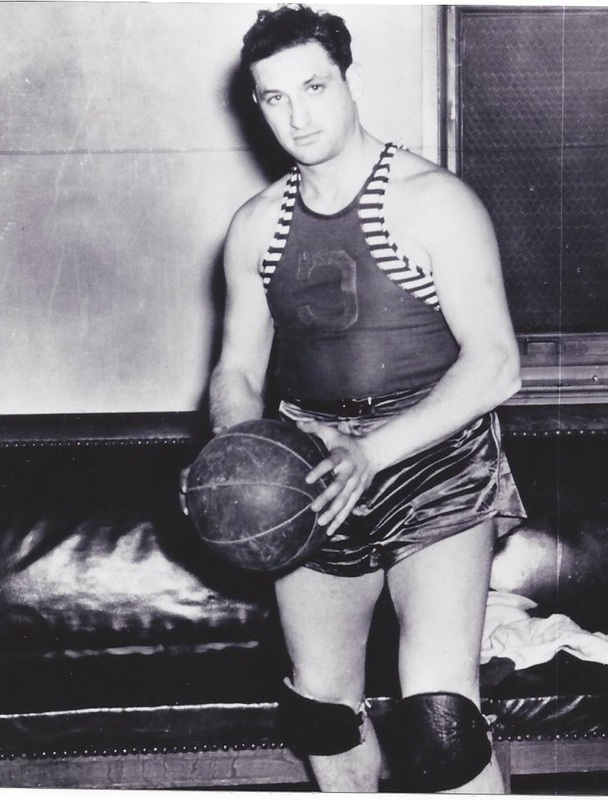 Frankel was sold to Troy before the 1938-39 season, but severely injured his knee in the second game of the year and had to sit out the remainder of the season. In the 1943-44 season, Frankel was key member of Wilmington’s ABL title-winning team. He was particularly outstanding in the playoffs. Down three games to one against the Philadelphia Sohas, Frankel led Wilmington to three straight wins and the championship. He led all scorers in the final series including his season-high of 17 points in the deciding seventh game. Frankel remained with Wilmington for one more year and took over as coach of the team for the last seven games of the 1944-45 season.